The Golan Heights is Israel’s northern shield, especially since Iranian forces have moved into Syria. (April 15, 2019 / JISS) Israel has ruled the Golan Heights since May 1967 and extended its law to the region in 1981. In March 2019, U.S. President Donald Trump recognized Israel’s sovereignty over the Golan. Besides lending welcome authority to Israel’s right to demand territorial revisions in order to establish defensible borders, the American declaration serves several strategic interests. For example, the strategic plateau provides invaluable defensive advantages and enhances Israel’s deterrence. Israel’s control over the Golan increases the country’s ability to prevent Iran from establishing an additional front against the Jewish state in southern Syria that would link to the front Iran has established in South Lebanon via its proxy, Hezbollah. Israel’s presence in the Golan, in proximity to Jordan’s northern border with Syria, also reduces Iran’s chances of undermining the stability of the Jordanian regime. Finally, Trump’s declaration obviously helps maintain the territorial status quo on the Golan Heights that has provided quiet and stability for decades. Indeed, America’s change of position erodes the entire “land for peace” formula. Military withdrawal from the Golan Heights would be a huge mistake. Control of the Golan confers on Israel several important advantages, some of which were crucial in repelling the surprise Syrian military onslaught in October 1973. Israeli control has also enabled the country to maintain stability along the border with Syria. Indeed, despite the absence of a peace treaty with Syria, and despite the regional tensions that eventually led to violent clashes between Israel and Arab actors, the Israeli-Syria border has remained quiet since 1974. Even the military confrontation between Israeli and Syrian units in the Lebanese arena in 1982 did not extend to the Golan Heights. The current border along the watershed line—the hills in the eastern part of the plateau—is the best defensive line against a conventional military attack from the east, as the terrain requires the attacking side to channel its forces between the hills. The resulting natural bottlenecks allow a small defending force to buy time for reinforcements to arrive. In the 1973 war, the Golan’s topography enabled 177 Israeli tanks to stop approximately 1,500 Syrian ones, giving the Israel Defense Forces the critical time needed to call up and deploy its reserves. No other line in the plateau confers such defensive advantages. The terrain west of the watershed line descends towards the eastern cliffs on the Jordan River. A withdrawal from the Golan Heights would place Israeli troops at the bottom of this cliff—about 200 meters below sea level, with a very steep gradient toward the plateau at about 750 meters above sea level. Israeli control over the Golan enhances the safety of the strategic Haifa Bay area on the Mediterranean coast by extending the distance from Syrian positions to about 90 kilometers. The Haifa Bay area is an important concentration of industry and hosts one of two main Israeli ports. The bay area is part of the strategically vital triangle (Jerusalem-Haifa-Gedera) that holds most of the country’s infrastructure and population. Israel’s control of one of the peaks of Mount Hermon in the northern Golan also provides Israel with impressive intelligence gathering capabilities. It enables the use of electronic surveillance deep into Syrian territory, providing Israel with early warning capacity. Similarly, the topographical superiority of the current defensive line provides better capabilities for target acquisition. The use of guided munitions, in particular, requires good intelligence, since in the area of electronic-warfare sight lines are extremely important. Suggested alternatives to these northern intelligence stations, such as Airborne Warning and Control Systems (AWACS) and/or Unmanned Air Vehicles (UAVs), simply aren’t adequate. In contrast to a mountain installation, they cannot support heavy equipment such as large antennas and can be shot down. Moreover, the amount of time they are in the air and able to provide intelligence is limited. Weather conditions may also influence the survivability of airborne systems. Surveillance satellites provide information primarily about static targets, but are not as useful for providing tactical intelligence. Even communication satellites have disadvantages when compared to ground-based stations. Finally, the proximity of the Golan to Damascus (about 60 kilometers) has tremendous deterrence value because it puts the capital—the nerve center of the Syrian regime—within easy reach of Israeli military might. Moving the Israel-Syria border westwards thus reduces deterrence, which in turn invites aggression. Israeli control over the Golan Heights has provided a quiet border; any change might have destabilizing effects. Yet since the late 1990s, dovish Israeli circles have argued that modern technology diminishes the strategic value of land and thereby justify a willingness for territorial concessions. Shimon Peres repeatedly voiced the argument against holding on to territories, saying that physical barriers and topographical advantages were no longer significant in the missile era. According to this thinking, which carries some weight in Israel, strategic depth and defensible borders (articles of faith in the past) have become a strategic anachronism. 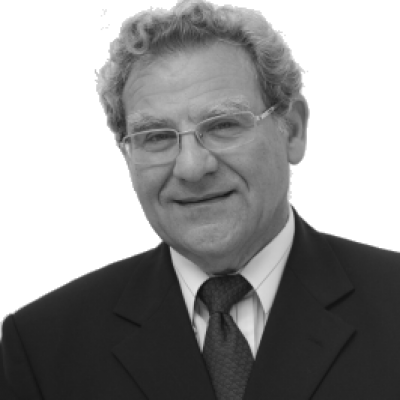 Professor Efraim Inbar is president of the Jerusalem Institute for Strategic Studies, jiss.org.il. Read full article at JISS.